Keeping the skin looking beautiful and youthful does not always come naturally for men and women. As patients hit their 30s, they begin to lose collagen and elastin, which is what gives the skin a youthful appearance while keeping the skin taut. With the loss of collagen and elastin, the skin becomes loose and fine lines and wrinkles develop. Laser treatment for the skin is highly recommended for patients in Jupiter, FL who are faced with the signs of aging as well as poor texture and tone. 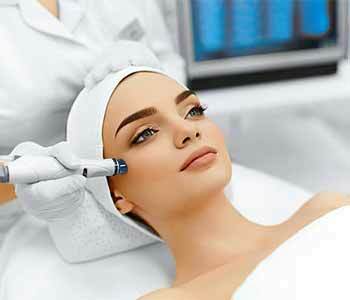 What is laser treatment good for? Who is a candidate for laser treatment? Most patients who visit A Center for Dermatology, Cosmetic and Laser Surgery are appropriate candidates. When patients come to the practice for their consultation appointment, they speak to our team of professionals about the benefits of treatment and if it is right for them. Their skin is evaluated, and patients take this time to ask questions. Rejuvenation of the skin is a phone call away! Dr. Peter Vitulli is proud to offer Jupiter, FL area patients solutions such as laser skin rejuvenation at A Center for Dermatology, Cosmetic and Laser Surgery. His practice is at 4600 Military Trail, Suite 107, and can be reached by phone to schedule an appointment at 561-427-2000. Call today to book your consultation to determine your candidacy for treatment.